This all began with some photos a colleague shared. 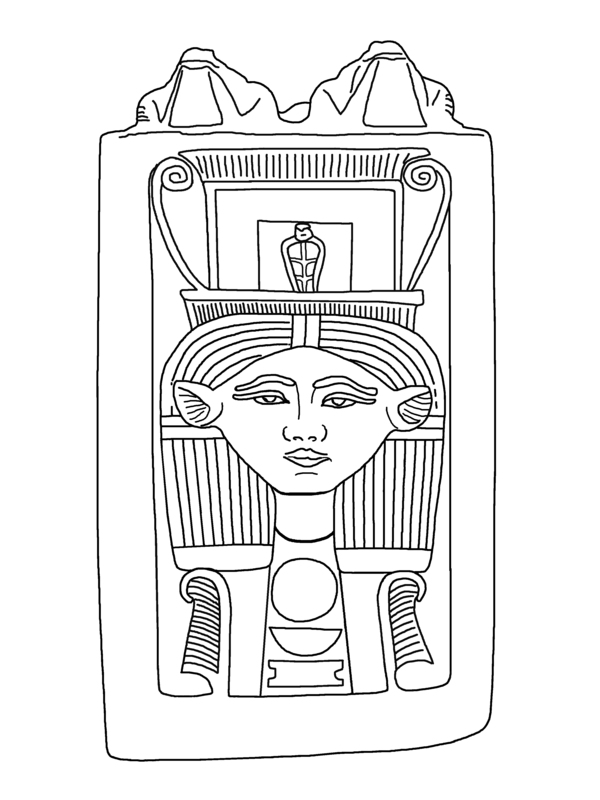 The image of Hathor was an immediate draw. This got me researching. Looking at the three sides of it for which I'd been given photos, I first tried translating it myself. 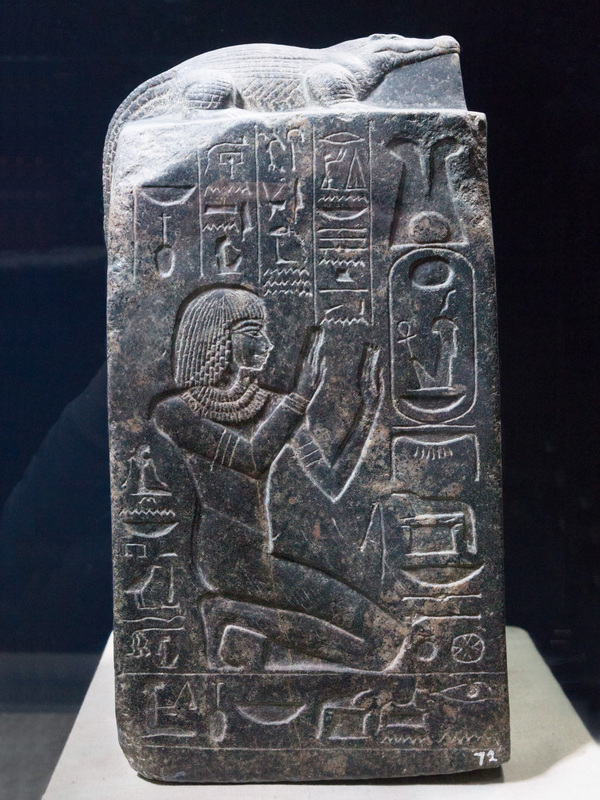 But I could only make out a few words like "His mother, lady of the house", and "seneb" ("health"), then took to the web. 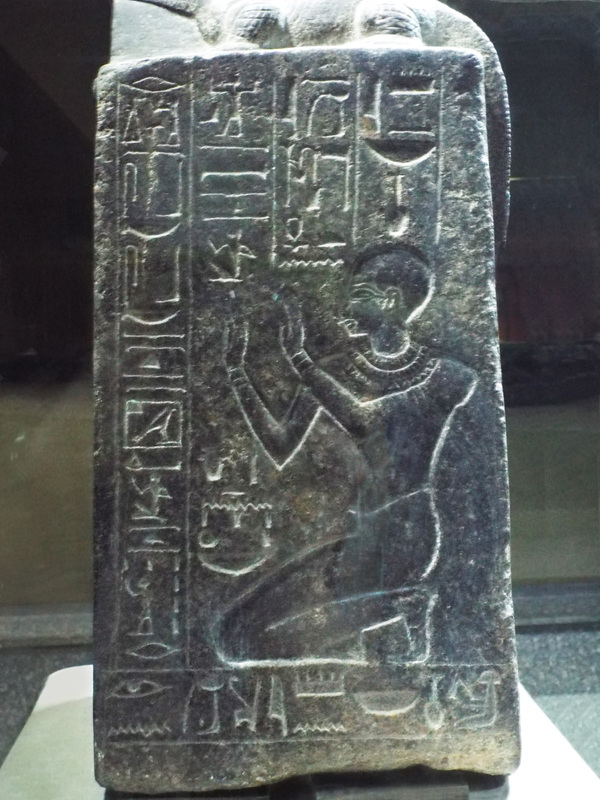 With a more expanded search term, I found another image of it at Wikipedia, which gave the identity of the male worshipper as Nebnefer. From that, I took to Google book search, which brought up a book with only a snippet quote. Then I looked to see about buying the book, and realized I already had it! This piece has been already translated!!! 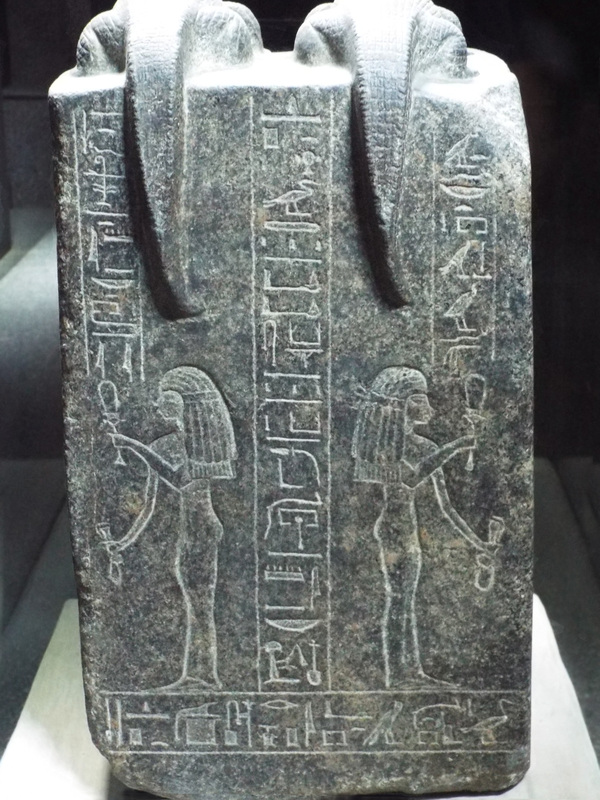 The Quest for Immortality: Treasures of Ancient Egypt by Betsy Morrell Bryan and Erik Hornung gives "Luxor Museum J 136" as the museum source, BUT since 2002, when that book was published, a new museum has been established in Kom Ombo, simply called the "Crocodile Museum". 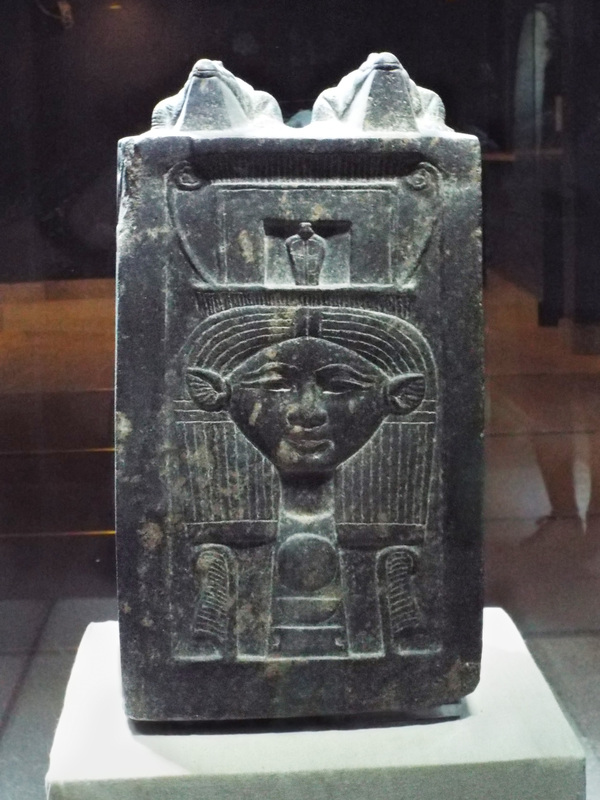 The front view of the cube has a Hathor sistrum and below that, a rebus which means "Beloved of Nebmaatre" (Amenhotep III). Adapted from a photo by Fanny Schertzer, who gives "Creative Commons"
Here we see the repeated "Sobek Sobek". 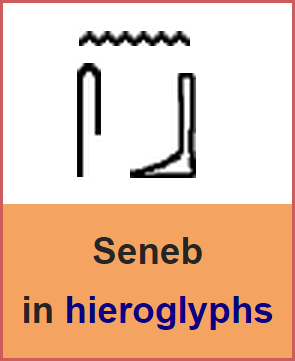 At first, I thought those glyphs were "Seneb, Seneb" (Health, health), using the "Neb" glyph, but that's not the way "seneb" is written. Furthermore, those aren't 'neb' glyphs, for the bowls have a handle on them, representing the consonant "k".